It is with profound sadness that the family of John William Cronkhite announce his sudden passing at home on Tuesday, January 15, 2019. John was 63, born in Woodstock, NB on March 27, 1955, the youngest child of the late Gordon M. and Ruby E. (Barton) Cronkhite. 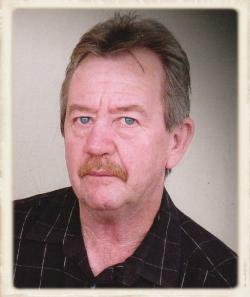 John was a much-loved and respected employee of the Anglophone West School District for 38 years first a School Bus Driver and then as a Maintenance Repairman. He was skilled in his craft and applied those skills in excellence to every task presented to him. Beautiful memories of the heart will be of great comfort to his loving and devoted wife of 44 years, the former Sandra P. Hersey. John was so proud of his 2 sons whom he loved dearly, Mark (Amy) of Mazerolle Settlement and Matthew (Krista) of Rusagonis. John’s face would literally light up at the mention of his 5 precious grandchildren, Timothy, Adam, Thomas, Kayley and Riley. John’s remaining two siblings will miss their dear brother, Pauline Walker (Jack) of Hanwell and Margaret McBain (Robert) of Alberta. Also surviving are his mother-in-law Irene Damias of Fredericton and a brother-in-law Phil Hersey (Karen) of New Maryland; aunts, uncles, nieces, nephews, cousins. He will especially be missed by his faithful and constant canine companion, "Londyn". Aside from his parents, he was predeceased by brothers, Barton, Carl and Earl; also, sisters, Noreen McAloon, Yvonne Barrett and Jackie Dore. The family will receive condolences on Monday, January 21, 2019 from 2-4 PM and 6-8 PM at Bishop’s Funeral Home, 540 Woodstock Road, Fredericton. A service celebrating John’s life will be held from Bishop’s Funeral Home Chapel on Tuesday, January 22 at 2:00 PM with Pastor Chris Price officiating. Interment later.